Folklife Archives, Manuscripts &, "Box 2, Folder 2 Bowling Green, Kentucky - Death Records, F" (1877). 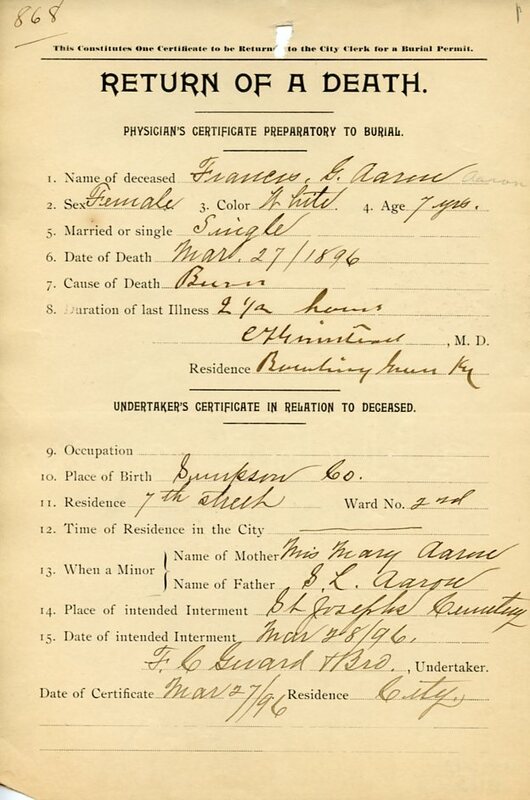 Bowling Green, Kentucky – Death Records, 1877-1913. Paper 10.